With the announcement of VMware vSphere 5 a complete new license model is introduces. In VMware vSphere 4 the licensing model was per physical processor based on the number of cores per CPU and the physical memory. The VMware vSphere 5 license model is based per physical processor and the allocated memory (vRAM) across the entire vSphere environment for a particular vSphere 5 edition (pool). VMware has released a video which explains the new vSphere 5 licensing model. Today VMware announced the end of the vRAM entitlement. More info can be found here. – The vRAM entitlements are increased. See the new entitlements in this post. – Capped amount of vRAM that is counted for a VM with a max of 1 vSphere Enterprise license (96GB). So an 1TB VM cost 96GB. – More flexible around transient workloads, and short-term spikes that are typical in test & development environments for example. We will now calculate a 12-month average of consumed vRAM to rather than tracking the high water mark of vRAM. 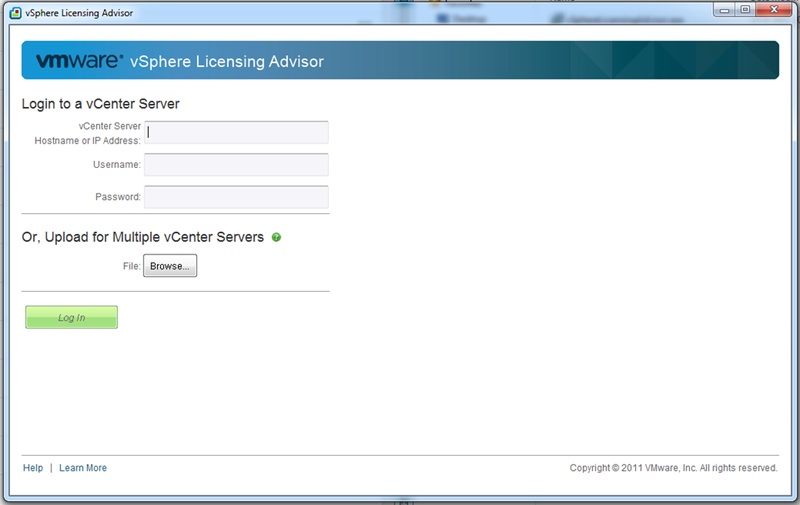 – VMware launched an official tool “The VMware vSphere Licensing Advisor”. 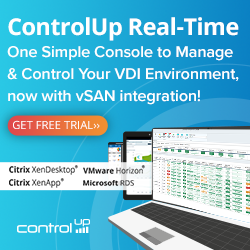 This tool allows users with vSphere 4.1, vSphere 4.0 and Virtual Infrastructure 3.5 environments to calculate and understand their vRAM usage and vRAM capacity as if they upgraded to vSphere 5.0. Everything in red colored text is updated. – Only powered-on VMs a counted in the total vRAM. – vRAM pool must be licensed with the same vSphere edition. For existing customers before upgrading to vSphere 5 you need to know if the upgrade can without needing extra licenses. Stretched cluster across two sites. One VMware vCenter server and 19 VMware vSphere 4 hosts. 2 Clusters. No additional licenses will be required for this environment. Two sites, on every site one vCenter server and 4 VMware vSphere 4 hosts with VMware Site Recovery Manager (SRM). No additional licenses will be required for this environment even if the 288 GB RAM cannot be full used. This because of the reservation of an X amount of memory in your cluster for the hypervisor, maintenance mode and High Availability (HA). VMware listening to there customers and increased for example the vRAM entitlements. To most of the cons do not apply anymore. – The CPU core to memory ratio can be very low. For example for a six core CPU with hyper-treading and a standard license gives a very low ratio 1:1 if we use 4GB VMs. – You may loss the the flexibility to scale-up the memory without invest in extra vSphere licenses. I have seen a lot of customers who upgrade the memory of their vSphere hosts within 3 a 4 years. With the new vSphere 5 licensing this can lead in buying extra licenses. – The vSphere 5 Hypervisor version supports 8GB per CPU, a dual CPU sockets hosts gives u 16GB RAM. On this server you can place 3,5 Windows 2008 R2 VM with 4GB VMs. I think the vSphere 5 Hypervisor isn’t going to be used anymore because other hypervisors haven’t this restriction and even offer more functionality. 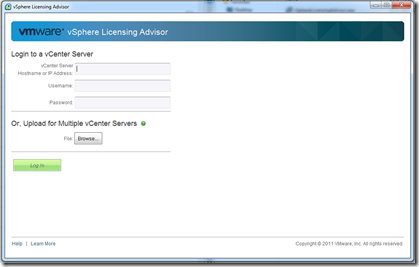 – vSphere Licensing Advisor. The VMware vSphere Licensing Advisor allows users with vSphere 4.1, vSphere 4.0 and Virtual Infrastructure 3.5 environments to calculate and understand their vRAM usage and vRAM capacity as if they upgraded to vSphere 5.0. The tool will show you the vRAM capacity and usage for each vSphere 5.0 equivalent edition. VMware has a white paper about the vSphere 5 new licensing structure and can be found here. There is also a vSphere 5 licensing discussion on the VMware Community. For VDI desktops VMware a “vSphere Desktop” package license is introduces. This license is a lot easier to understand. For a 100 concurrent desktop license you pay $6500, that is $65 per desktop regardless the processors, memory you have. BTW,thanks to this change in licensing, I found an excellent alternative with Proxmox using KVM utilizing an untuitive interface! Thank you VMWare!